Dutch painting landscape, 1920 era. Signed Van Gauck, this is a older painting, if you hold it to the light, you can see some light coming through the paint strokes, as it is starting to show some crazing, but it doesn't show on the wall. 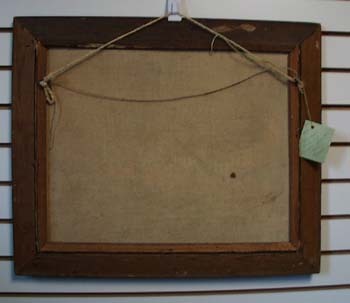 The frame is the real treasure, it has very little damage and is a tulip art nouveau stylized design. Excellent combination of frame and oil painting. 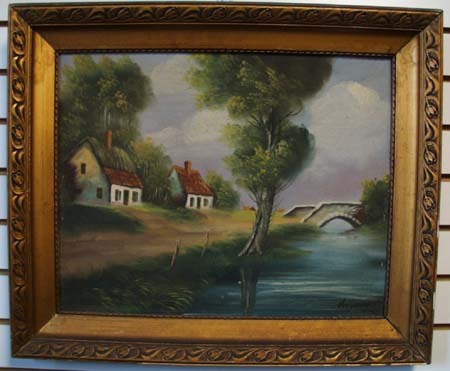 20 x 24""
Items Similar To "Dutch painting landscape, 1920 era. 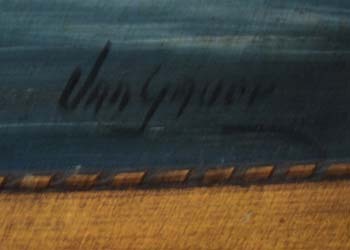 Signed Van Gauck"